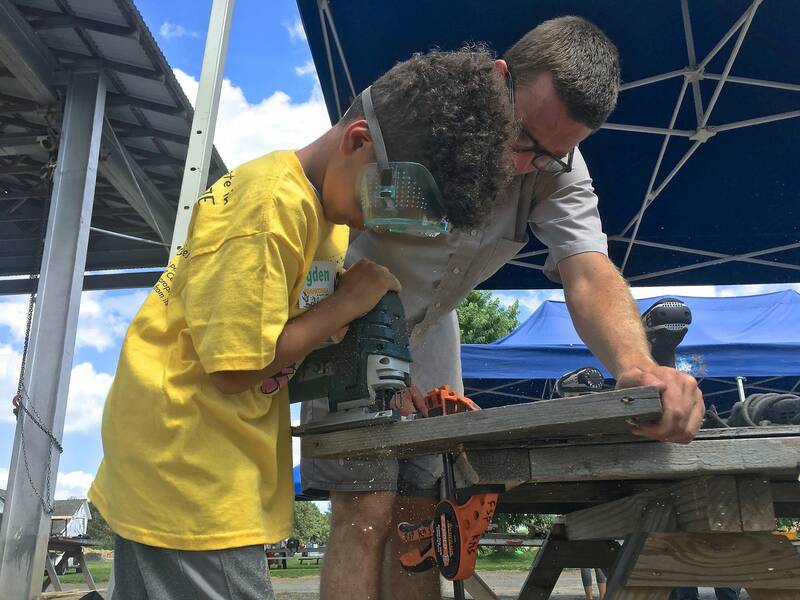 This week, on Art Hounds: Kids and power tools come together at Franconia Sculpture Park. Plus: Art Hounds recommend "Our Town" in Duluth and a miniature art exhibition on display in a porch window. Twelve-year-old Finn Rutledge wants you to know about Franconia Sculpture Park's "Kids Make Sculpture" program. Once a month, from May through September, kids between the ages of 4 and 18 can work with artists to create their own original sculpture, using lumber, hammers, nails and a variety of power tools. Rutledge has done it four times, and said it's super fun. Note to parents: You don't have to stay at the park during the workshop! • More information: Upcoming workshops are from 1 until 4 p.m. on June 16, July 14, Aug. 18 and Sept. 8. Ryan Fontaine, an artist and director of Hair and Nails Gallery, recommends paying a visit to 3306 Park Ave. in Minneapolis. It's the home of Dawn England and Mark Schoening. It's also home to Porch Gallery — a large white cube with a rotating exhibition lineup that you can view through the porch window of their Victorian home. Opening Saturday is "Art Fair": The window will be filled with 24 different miniature gallery spaces, featuring miniature art by artists across the country. Fontaine said the work is meticulously rendered to scale. If you can't make the opening from 8 to 11 p.m., you're welcome to check out the art any day between 10 a.m. and 10 p.m. through July 14. Mary Fox, artistic director of the Renegade Theater Company in Duluth, thinks you should see the Duluth Playhouse's production of "Our Town" at the NorShor Theatre. The classic tale by Thornton Wilder reminds us that life is made up by of little precious moments, and we'd do well to appreciate them before they're gone. Performances run through Sunday. • More information: "Our Town"